Flintman David Smith has been working in Lewes and the surrounding area for more than 20 years. 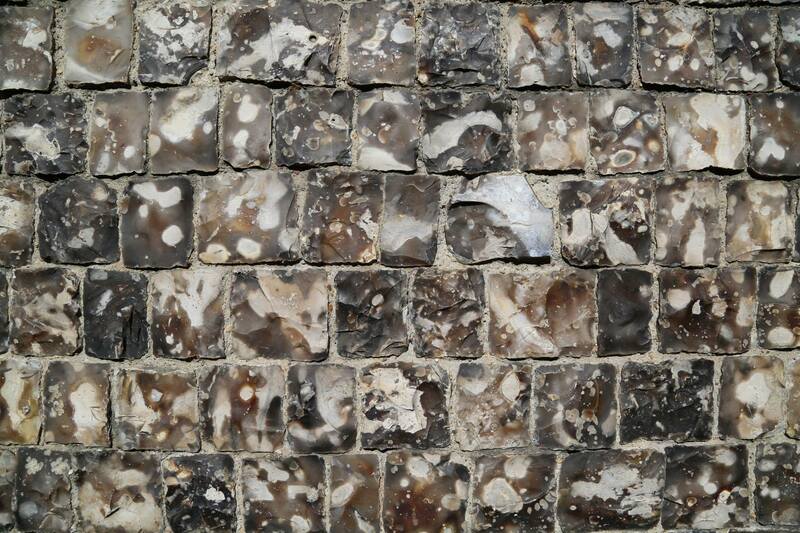 His talk will cover the history of flint, showing its use and versatility as a building material. There are various styles of laying and also a variety of finishes. These can vary from construction period and importance of structure, to region and specific location. As well as differences in colour, shape and form, the applications of flint have varied within its historical and functional context. Lewes is no exception to this. Using local references, he will also demonstrate how flint has given Lewes its distinctiveness with examples of the good, the bad and the unusual. Open to all – admission free to Friends of Lewes members, £3 for non-members. Wine and juice can be purchased in the interval. See the Diary page for a list of forthcoming events organised by the Friends of Lewes. We appreciate your feedback or suggestions regarding our events programme. Please use this form to convey your comments. You can also contact us by email if you have an enquiry. Next Next post: Welcome to the new Friends of Lewes website!